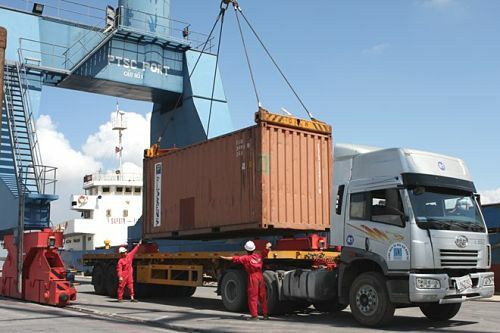 HCM CITY (VNS)— The Viet Nam Logistics Index was launched yesterday in HCM City to provide information about the industry and a basis for financial investment and become the standard for the industry in Viet Nam. Developed by the Viet Nam Logistics Association (VLA)'s Viet Nam Research and Development Institute of Logistics and the Intelligent Financial Research and Consulting Viet Nam (IFRC Viet Nam), the index meets the six criteria of feasibility, representation, continuity, independence, transparency and usefulness, and is expected to help policy makers make better decisions and provide foreign investors information about the Vietnamese logistics industry. According to the developers, the index is based on information from the country's stock exchanges. Initially, it will focus on listed logistic companies before, in future, trying to cover all companies that are VLA members. Speaking at the launch, Do Xuan Quang, chairman of the VLA, said the developers had launched the index after a long period of study and learning from the experiences of other nations. The logistics industry, which began to take root in the 1990s, now has around 1,200 companies compared to 700 less than a decade ago.